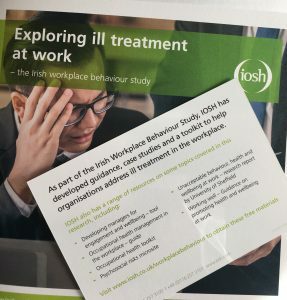 New guidance produced by IOSH is in place to help employers ensure their staff do not suffer the effects of ill-treatment. “It is alarming to see the amount of people who felt they could do nothing, even if they reported an issue. Everyone has the right to be respected at work. Any form of ill-treatment is completely unacceptable. It can have a huge impact on an individual and the team around them, causing stress and tension which ultimately has an effect on the business as a whole. Ill-treatment at work is linked to physical and mental health issues, which in turn affects the decisions people make and increases risks to themselves and those around them. 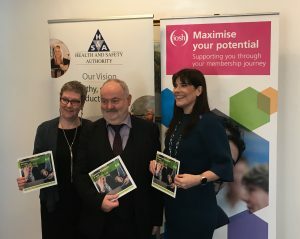 Louise has gone on to add she recognises the role IOSH has played in understanding appropriate workplace behaviour, and likewise the way it is working with organisations in Ireland through its branches there.